Well i am very excited but we will hopefully be getting our little flock of sheep in the next couple of weeks! 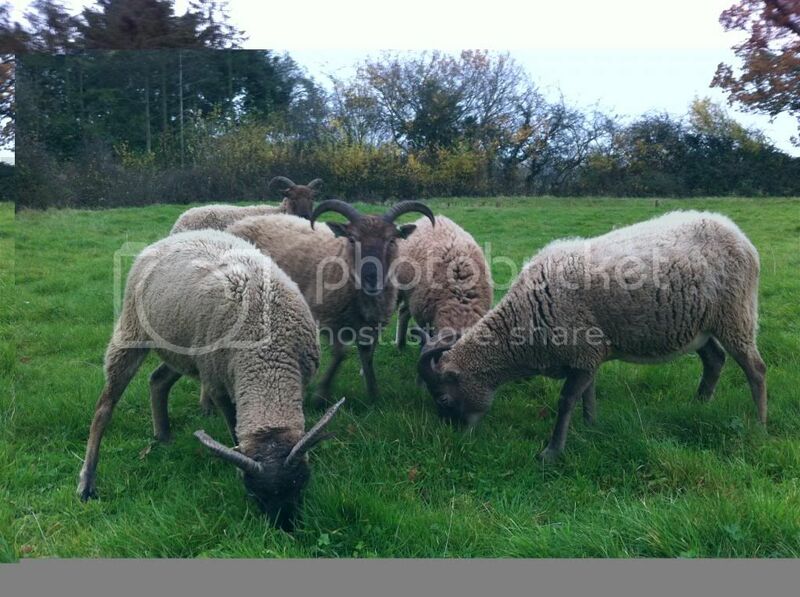 5 ewes and a yearling ram for our new field which will be wonderful. Will you do your own shearing, Kate? Definitely looking forward to pictures. Probably not the first year! Might get someone round to show me how and see how I go from there. Might get the person who did my OHs last haircut as he looked pretty much like he had been shorn!!! My sheep are arriving on Friday! So excited I need holding down to stop bouncing out the room!!! They look determined to eat their way through that grass don't they. congratulations. Yes, they were very glad to see grass after their journey! Congrats Kate I too would like sheep in the future. How is the temperment of the ram? A farmer near me puts its head in a bucket and grabs a horn as a way of controlling him. This is all done before the owner steps foot into the field. Either way those horns look pretty menacing and would scare the life out of me. He's only a yearling and is currently a bit henpecked by the girls although I'm sure that will end when they come into season. He's pretty timid with me and what you can't see in the pic is that they are really quite a small breed. That being said I would always be wary of a ram. Even the little ones can be feisty!